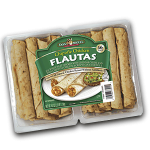 Inspired by a Mexican food staple, DON MIGUEL® Flautas roll premium, freshly prepared ingredients in our own homemade, hand-stretched flour tortillas. 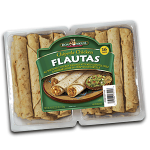 Lightly fried, each one has a satisfying crunch, really big flavor and comes ready to heat and serve, making them perfect for parties, watching the big Sunday game and even breakfast. Find them today in the deli section of your nearest club or grocery store.